The development of driverless cars brings a wide set of capabilities together. 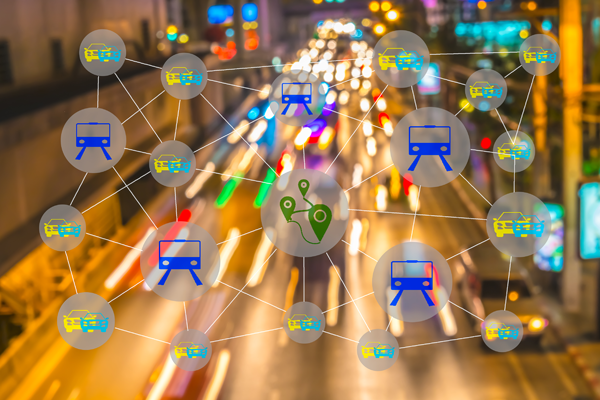 From secure cloud-based mapping to next generation communication systems, there are many new ways to provide navigation for driverless systems. A new generation of driverless vehicles is dramatically changing the way automotive systems are designed and built. These driverless car systems will have significantly increased communication capability, linking vehicles together on the road and back to the cloud. All of this will be controlled by high-end processors with complex 3D mapping and control algorithms, and all of this needs to be made secure. The development of driverless cars has also meant more focus on the accuracy of mapping systems. Three companies have recently launched technology for high-resolution mapping in the cloud in a bid to provide driverless cars with more accuracy in their location. This is necessary to provide the driverless system with an understanding of road layouts and traffic rules (including speed limits and various road signs) and requires high precision measurement of positional information involving the collection of information on dividing lines, curbs and other road characteristics. Researchers at Toyota’s Central R&D lab in Tokyo, for example, have developed a high-precision map generation system that uses data from on-board cameras and GPS devices installed in a wide range of production vehicles, not just the driverless kind. By gathering road images and information on vehicle positions and sending the data back to data centers where it is automatically pieced together, corrected and updated, Toshiba is aiming to generate high precision road maps that cover a wide area that can then be accessed by driverless cars by 2020. It is using image matching technologies to improve the accuracy of the camera-based system, providing a minimum accuracy of 5 cm on straight roads that is updated in real time. Mobileye has taken a similar approach with the Road Experience Management (REM) software that runs on its EyeQ processing platforms. This extracts landmarks and roadway information at extremely low bandwidths, approximately 10kBytes per kilometer of driving, and sends it back to the cloud where all the segments of data sent by all vehicles are integrated into a global map using artificial intelligence algorithms. Mobileye is working with General Motors to integrate REM into vehicles it is about to launch, as well as into driverless vehicles in the next few years. Mobileye is also working with Volkswagen to integrate REM into Volkswagen's fleet, and a third car maker is expected to use the technology in 2016. Meanwhile, the joint venture between BMW, Audi and Daimler that acquired mapping technology from Nokia, is also taking a cloud approach. Its HD Live Map system uses tiles and contains dynamic content layers with each layer providing different details such as lane level information, dynamic road network and situation changes, and speed profile data. These layers combine static map content, temporary information from updates and analytics data. This makes use of multiple sensors on the car and others cars to provide real-time updates, and new events can be layered onto the map in small files without the need to update the whole image. Ten car makers are already using the technology in tests, with projects underway in the US, France, Germany and Japan. All this mapping technology requires reliable communications from the driverless car. The frequency bands for Vehicle-to-Vehicle (V2V) and Vehicle to Infrastructure (V2I) links are determined, with the 4.1-4.5GHz band allocated in the US for these links as well as DSRC (Dedicated Short Range Communications) at 5.9 GHz using the proposed 802.11p standard. As an example, various devices from NXP Semiconductor have been used in trials of V2V and V2I technology as part of NXP’s RoadLINK technology. In high-speed challenges, V2V-enabled vehicles from Audi vehicles equipped with the NXP RoadLINK chipset drove towards one another at relative speeds of up to 500 km/h, communicating across distances of more than two km. As well as providing a secure link back to the cloud for mapping and monitoring, this secure link allows driverless cars to notify other vehicles of potential problems on the roads to give others time to re-route and so reduce congestion and reduce the risk of accidents. NXP is also working with Siemens on the infrastructure side, providing driverless cars with updated information on speed limits and road conditions. All of this helps to reduce the load on the sensors within the car and provide a safer environment for both passengers and other road users. All of this needs to be secure to prevent hackers taking control of the driverless cars. NXP’s V2V and V2I products, for example, have built-in hardened security elements to ensure personal data privacy, prevent hacking or the manipulation of the vehicle and infrastructure systems. Cohda Wireless, of which NXP is a major shareholder, provides hardware and software development services and products for the Siemens roadside units as well as the V2V chipsets to ensure maximum communication reliability and quality, even in challenging reception conditions such as between tall buildings.